DAZN Group has sold Perform, its B2B sports data and content arm, to investment firm Vista Equity Partners, which plans to combine it with its sports AI business STATS. 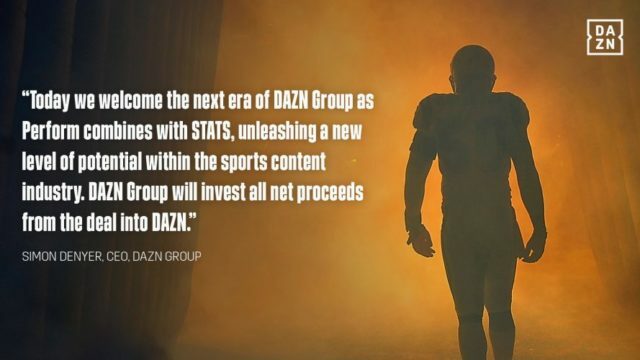 DAZN Group is due to receive a combination of cash and a “significant minority stake” in the newly formed company, and plans to reinvest the capital into its direct-to-consumer sports streaming business DAZN. The deal combines US-based STATS and European-based Perform. In a statement, the companies said that merging the two businesses will accelerate innovation by generating machine learning predictions and automating natural language insights. Perform is made up of brands including: sports data provider Opta; sports news and content provider Omnisport; RunningBall, which provides real-time sports data to betting operators; and Watch&Bet, which is a major supplier of live sports video to online and retail bookmakers. The deal separates the Perform assets from DAZN Group’s core sports rights and streaming business, which will now be the company’s sole focus. “Over 12 years we created a leading global portfolio of content and clients, but the combination of STATS and Perform takes the service to a new level of potential for everyone,” said DAZN Group CEO Simon Denyer. Terms of the deal were not disclosed. However, a SportBusiness report from earlier this month suggested that Perform could be valued at US$1bn – US$1.5bn. 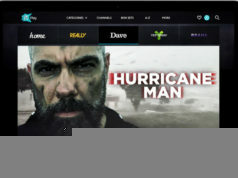 Perform Group rebranded to DAZN Group last September, with the company divided into two brands: OTT and sports rights business DAZN; and B2B data and news business Perform Content.